Avraham Shlonsky (1900-1973) was born in the Ukraine to a Hassidic family. He immigrated to Eretz Israel in 1922 and worked at first in agriculture and later as a journalist, editor and translator. His many translations into Hebrew include Hamlet and King Lear, as well as a number of the Russian classics. Among the most significant of modern Hebrew poets, he had a great impact on the work of a large circle of young writers. From the outset, Shlonsky`s poetic style differed significantly from anything previously written in Hebrew. Understanding the dialectical relationship between innovation and tradition, his early work reflects the hopeful transition from old to new. Shlonsky saw human isolation in the modern city during a year-long stay in Paris, and was exposed to the horrors of the Holocaust on a visit to post-war Europe. These experiences resulted in sharp, painful expressions of alienation, fear, grief and terror in his poetry. Much of his later work expresses questioning and doubt, and even the return to rich melodies and images in Shlonsky`s final collection is underscored by dismal, tragic meaning. He contributed to the creation of modern Hebrew poetry and significanly influenced the poets of his generation. He fought against Bialik`s generation, striving for a new poetry. 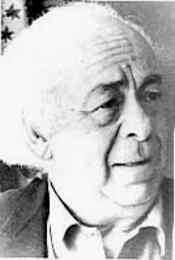 Abraham Shlonsky is widely recognized as one of the great Hebrew poets of the twentieth century.